Grand Masti Collected 5.25 crore nett over its third weekend taking the seventeen day business of the film to 88 crore nett plus. The third weekend was the fifth highest of the year after Chennai Express, Yeh Jawaani Hai Deewani, Bhaag Milkha Bhaag and Aashiqui 2. Coincidently it is also the fifth biggest hit of 2013 after the above mentioned films. The film has Monday and Tuesday where it can add another well to its total but then it will get a huge reduction screens be it multiplexes or single screens when Besharam releases on Wednesday. The week should be around 7.50 crore nett which will take the film to over 90 crore nett. Phata Poster Nikhla Hero collected around 4.5-4.75 crore over its second weekend (Lesser than Grand Masti's third weekend), the drop from the first weekend is around 75%. The ten day total of the film is around 34.75 crore nett. The best performance for the film has come in Nizam/Andhra and Rajasthan with East Punjab and West Bengal under performing. The second week will probably collect around 6.25 crore nett. The lifetime collections will be actually not be far off Shahid Kapoor's biggest grosser Kaminey which collected around 41.50 crore while Phata Poster Nikhla hero should do around 37 crore nett but there is a four year gap between the films. it will be his second highest grossing film in terms of nett collections and third in terms of distributor share as Vivah is tops in terms of share. The Lunchbox held steady over the weekend as it collected around 5 crore nett. The first weekend business was around 7 crore nett which means a week on drop of just 28.5%. The film has managed to get good totals in Mumbai which has collected around 6.50 crore nett in ten days, 3.75 crore nett in Delhi and 1.75 crore nett plus in Mysore. Mysore is always a stand out for these type of films and has proved to be so again for The Lunchbox as figures are above East Punjab which is a much bigger circuit than Mysore. Warning had a low second weekend with business around the 2.75 crore nett mark. 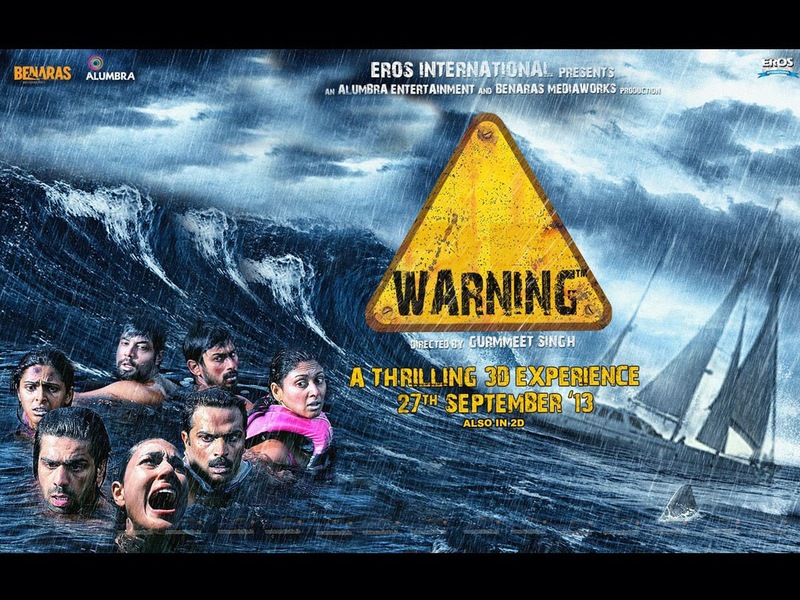 The film did not witness much growth over the weekend and although the film was made in Fiji which gives a healthy rebate to films shot there the film will still not recover its cost due to the low start and technically just a five day week. The other films like Maazi, Prague, Rakt - Ek Rishta and Supermodel all fared poorly with only Supermodel getting to 25 lakhs nett plus and this mainly due to fact it managed to be shown on around 300 screens of which 125 were in the East (W. Bengal, Bihar, Assam and Orissa). This film was also shot in Fiji due to rebate but will get no where to recovering costs.